WADESBORO – On Monday, October 15, 2018, with true Chewning spirit and determination, Darrell Lee Chewning insisted on driving himself and his wife, Susan, to the hospital and while driving, he suffered a heart attack and was called home to be with the Lord. He was a loving and devoted husband, father, grandfather, brother, uncle and friend. Many lives have been touched by this gentle giant's kindness and generosity. Darrell was born June 6, 1952, in Anson County, NC and was one of five children born to the late Eddie Lee Chewning and Mary Virginia Moore Chewning. He was the only boy with four sisters. In addition to his parents, he was preceded in death by his sister, Beverly Chewning Hinson and his brother-in-law, Leon Dalton. He grew up knowing the importance of a big family. The Chewnings believed in instilling a good work ethic in their children. Farming, gardening and hard work was often the center of their family life. The importance of time spent with family and friends has been a family value that has remained, even after the death of Darrell's parents. To this day, the family still gathers in his home to make time for these treasured moments together. 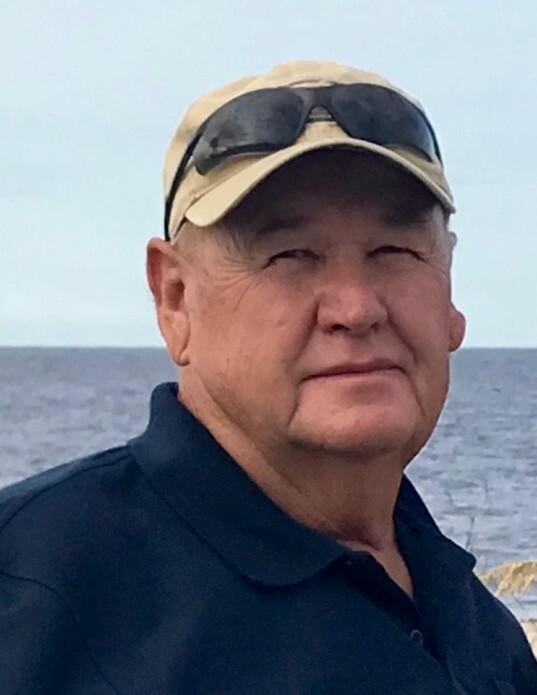 Darrell was a 1970 graduate of Bowman High School and was a long-time and dedicated employee of Huntley Oil and Gas in Wadesboro. Surviving are the love of his life and wife of 48 years, Susan Baker Chewning; his children, Tiffany Medford and husband, Tradd of Indian Trail and Lee Chewning and wife, Amy of Winston-Salem; his grandchildren who lovingly called him Papa, Caleb Chewning, Jillian Chewning and Beau Medford; his sisters, Barbara Dalton of Asheville, Julie Johnson and husband David, and Kathy Thompson and husband Butch, both of Wadesboro, and their families; his aunt, Sadie Moore Waddell of Wadesboro; his sisters-in-law, Louise Brock and husband Calvin, and Jane Hinson and husband Kerry both of Cheraw, SC, and Mary Ann Short and husband James of Pink Hill. There will be a service to celebrate the life of Darrell Lee Chewning at 2:00pm, Friday, October 19, 2018 at Deep Creek Baptist Church with Rev. Paul Saleeby, pastor of Benton Heights Presbyterian Church, officiating. Interment will follow in Anson Memorial Park. The family will greet friends from 6:00pm until 8:00pm Thursday, October 18th, 2018 at Leavitt Funeral Home and other times at the home. In lieu of flowers, memorials may be made to Deep Creek Baptist Church, Building Fund, 1280 Beck Rd., Wadesboro, NC 28170.